A new Trump administration report on the financial challenges facing the U.S. Postal Service could lead to cost increases for online retail giants like Amazon. This formal review comes after Trump himself has called for rate increases, specifically targeting Amazon. Trump issued an executive order in April that created the Treasury Department Task Force to conduct the review. Carriers at the downtown New Bedford, Mass., post office sort and prepare their route delivery carts on Dec. 21, 2016, the busiest day of the year for deliveries. Amazon announced that customers bought more products during this year's "Cyber Monday" than any other single day in Amazon's history. Customers of the "Amazon Prime" subscription service ordered more than two billion products with one day or faster delivery times in the past year, the company said Monday. 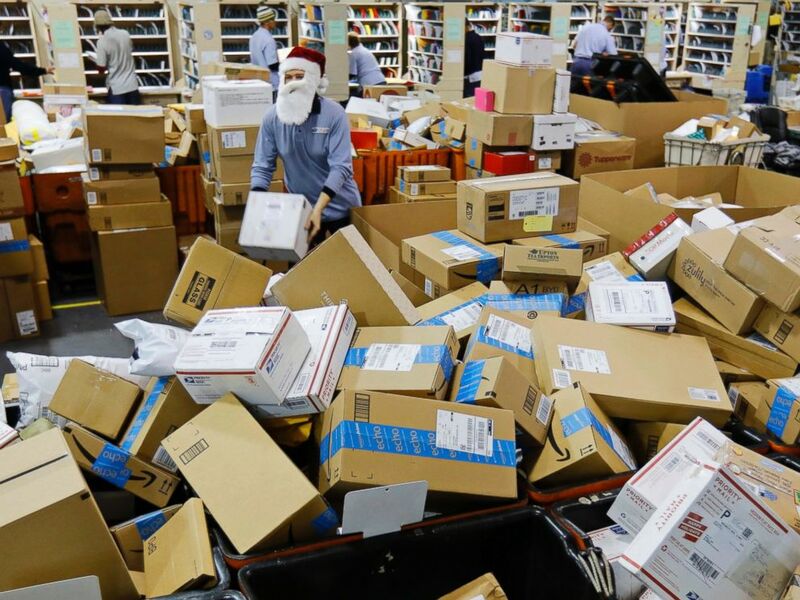 The 74-page report suggests a singular fix with Amazon alone will not solve the postal services profitability struggles as competitors like UPS and FedEx continue to dominate the shipping market. The recommendations also include expanding the definition of those “essential services” to include person-to-person shipping, so small businesses run from residential homes might not see the same increases as online retail giants. “The USPS should have the authority to charge market-based prices for both mail and package items that are not deemed “essential services,” according to the review. Both Amazon and Treasury Department did not immediately respond to requests for comment from ABC News.